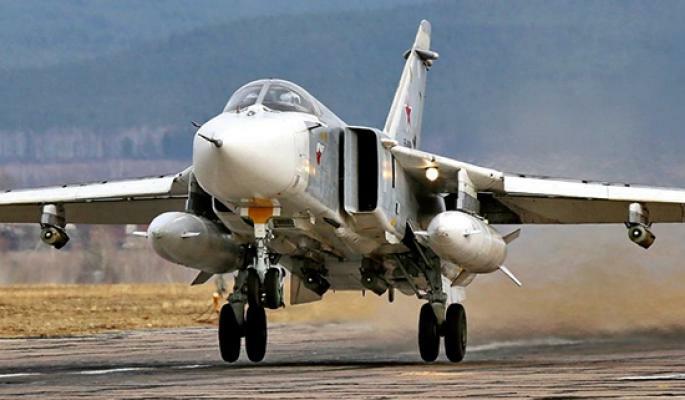 The Syrian Armed Forces have recently received the new SU-24M2 all-weather attack aircrafts under a deal signed with Russia to shore up the country’s military capabilities in fighting terrorism. Two of the upgraded attack aircrafts have been already delivered while 8 more will be transferred in addition. The SU-24M2 is a front-line bombers represents further (after SU-24M) upgrade of the front-line bombers of the SU -24 of Russian Air Force. The Su-24M2 bombers have been retrofitted with new equipment and systems at the VP Chkalov Novosibirsk Aircraft Production Association (NAPO), to enhance their capabilities and improve their combat efficiency. NAPO has upgraded the Su-24M2 aircraft with improved avionics, including GPS and the Russian equivalent GLONASS, and a head-up display (HUD) and visor, under a three-year contract, as part of a national defence order for 2009. According to Kremlin spokesman Dmitry Peskov, Erdogan “is sorry” and is willing to deal with the crisis in the relations between two countries. “President Putin has received a letter from Turkish President Erdogan where the Turkish leader expresses interest in resolving the situation around the downing of a Russian bomber jet,” Peskov said. Erdogan said that Turkey “shares the pain of the downed Su-24 pilot’s death with his family” and “sees it as Turkey’s pain”, according to Peskov. Turkey is ready to take all steps required to “relieve the pain and severity of damage” to the deceased Su-24 pilot’s family, Erdogan writes in his letter to the Russian President. “In the letter, the Turkish President also says he has always seen Russia as a strategic partner and a friend”, Peskov said. 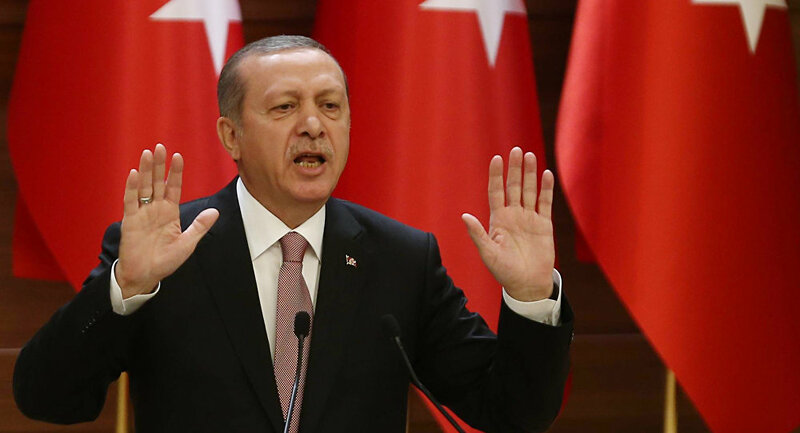 “We never intended to shoot down the aircraft of the Russdian Federation,” Erdogan emphasised. On November 24, 2015, a Turkish F-16 fighter plane shot down a Russian Su-24M bomber jet operating as part of Russia’s anti-terrorist mission in northern Syria near the Turkish border. Following the shootdown, Russian pilot Oleg Peshkov successfully ejected from his plane, but was shot and killed as his parachute descended to the ground by armed militia. Russian warplanes have conducted 302 sorties and hit 1,093 terrorist targets in Syria over the past six days, the Russian Defense Ministry said Wednesday. “Jets from the Russian air group in the Syrian Arab Republic have conducted 302 sorties and hit 1,093 targets in the provinces of Idlib, Aleppo, Deir ez-Zor, Hama and Homs from December 18 to December 23,” Russian Defense Ministry spokesman Igor Konashenkov said. Maj. Gen. Igor Konashenkov said that Russian jets destroyed a terrorist training camp in the Syrian province of Idlib hosting fighters from Turkey and CIS states. Moreover, the Russian Defense Ministry spokesman said that Su-34 aircraft have destroyed two oil storage facilities and dozens of fuel pumps in the Deir ez-Zor province.A Russian Su-24 bomber launched an attack on Daesh military equipment in the Syrian province of Homs, destroying six off-road vehicles equipped with heavy machine guns and three militants’ trucks. A Su-34 jet also destroyed a Ahrar ash-Sham militant group’s command post in the Aleppo province, Konashenkov said. MOSCOW, November 25. /TASS/. Turkey’s reckless decision to shoot down a Russian bomber over Syria – an outrageously treacherous move towards Russia it was – may have been due to a variety of reasons, including internal political ones, Russian experts believe. 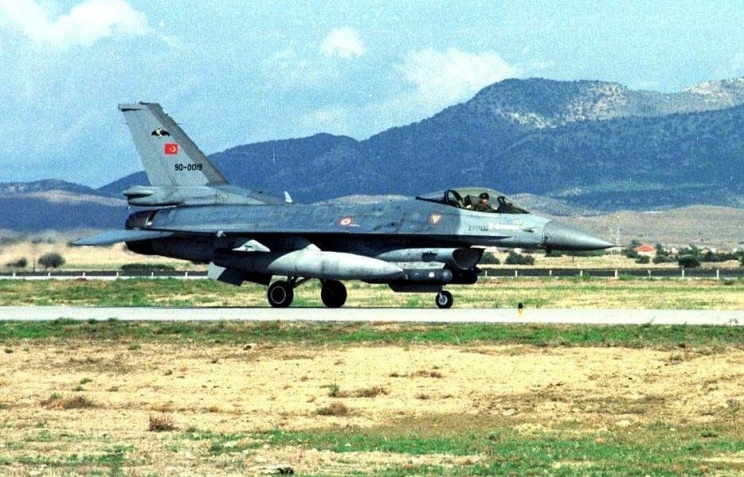 On Tuesday morning, a Turkish F-16 fighter launched a heat-seeking missile at Russia’s unarmed front-line bomber that was returning to base. Russian President Vladimir Putin a short while later said that the plane crashed in Syrian territory, four kilometers away from the Turkish border, while the attack itself took place when the bomber was one kilometer inside Syrian airspace. He slammed the attack as a “stab in the back” and blamed Turkey’s authorities of connivance with and support for terrorism. The Russian authorities are prepared to fundamentally reconsider relations with Turkey, until recently a rather close partner. “He is a careless and impulsive decision-maker,” Suponina said.